As a leader you need to ask yourself three questions about your network and score of your answers out of 5:  How important is the quality of your network to accomplishing your goals,  How do you rate the quality of your current network, and  How smartly do you work to maximise your network advantages? 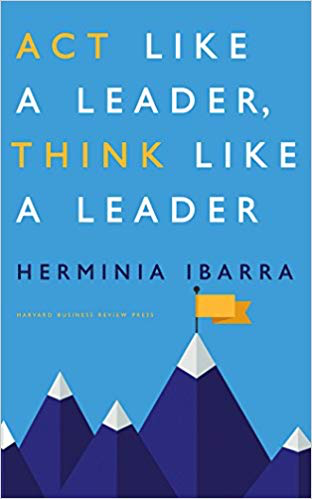 This excellent new book, Act Like A Leader, Think Like A Leader, by one of my favourite authors Herminia Ibarra provides a practical approach to making much better use of your network for career advancement and leadership development purposes. To help you answer these three important questions, I’ve summarised what you should do. First, reflect what a good network can do for you. It keeps you informed, often ahead of others. It teaches you new things, often before you realise you need to learn about them. It shows novel and creative ways of thinking and solving problems. It acts as a sounding board. It helps you get stuff done, often when you’re in a hurry. In progressing as a leader, a good network helps you identify and prioritise opportunities and acts a channel for introductions, encouragement and support. And, not least, a good network puts you out there, so people and opportunities are more likely to come to you. Dynamism, i.e. the ties that expand as your career, location and personal circumstances change. 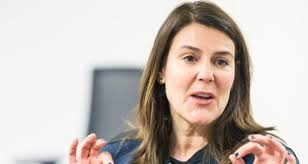 Herminia (pictured) uses this helpful mnemonic: Network Advantage = Breadth + Connectivity + Dynamism, A = B + C + D.
The balance between peers inside your organisation, channels, customers and college alumni and those outside these immediate environments. If your network is too internally skewed, your conversations and ideas will be inbred – and the accelerating changesin the wider world will be passing you by. Inside your current environment, find social ways to connect with those below and above you in your organisation. Share time with juniors to learn about things that you’ve let pass you by such as social media, tech and startups. Connect with top management in industry gatherings and ask customers to invite you into their organisations to learn about and meet others. Catch up with a peer in a competitor and learn about how their operations and culture, benchmark yourself and ask to who else s/he could introduce you. It’s not who you know, its who they know, i.e. the second and even third layer of your network about which I wrote in Smarter networking last year. Leverage your contacts to meet valuable people you don’t know. LinkedIn is an efficient way of doing this, but do be sure to observe meticulous etiquette on the net. In another city, organise an alumni get-together and ask each person to bring an ‘outsider’. Offer to teach at a local university and use this community to meet new people. The list is endless. In the 1960s Harvard psychologist Stanley Milgrom enunciated the ‘six degrees of separation’ principle. As we all know, the idea is that each person in the world is no more than six links away from any other person – all 7B+ of us! Given the scientific truth of the six degrees principle, there’s more than enough to learn in your increasingly broad (‘B’) network provided your maximise connectivity (‘C’) amongst its members. This means you need to regularly share information, reciprocate and actively introduce network members to each other. Being a both maven(a trusted expert in your particular field who passes on timely and relevant knowledge on to others) and a connector(Malcolm Gladwell’s term in The Tipping Point for people who see needs in one place, a solution in another and put the two together) will contribute immensely to your network connectivity – and do lots to build your personal brand. Dynamism refers to how current your network is. If your career, location and/or personal circumstances change, does your network keep up? Most people allow their network to lag well behind their current situation. You can learn more about this challenge and what to do about it in my post Does your network bind (and blind) you?. Effective A-B-C networking is a critical ingredient for career advancement and success as a leader. Effective networking is readily learned by practising A-B-C, otherwise you’re too internally-focused. Periodically check the balance amongst and quality of your strategic, operational and personal networks. Take determined remedial action if you judge you’re underdone in any of these respects. And remember, the advantages you derive from working on your network are a function of A + B + C.